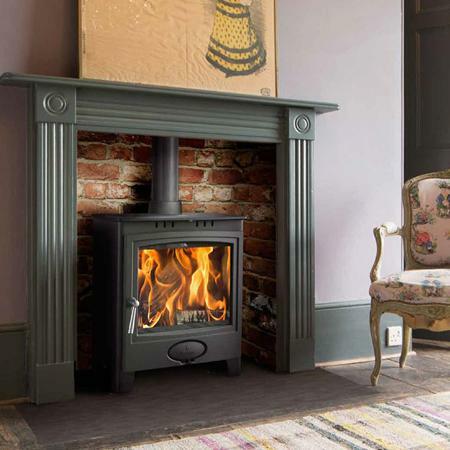 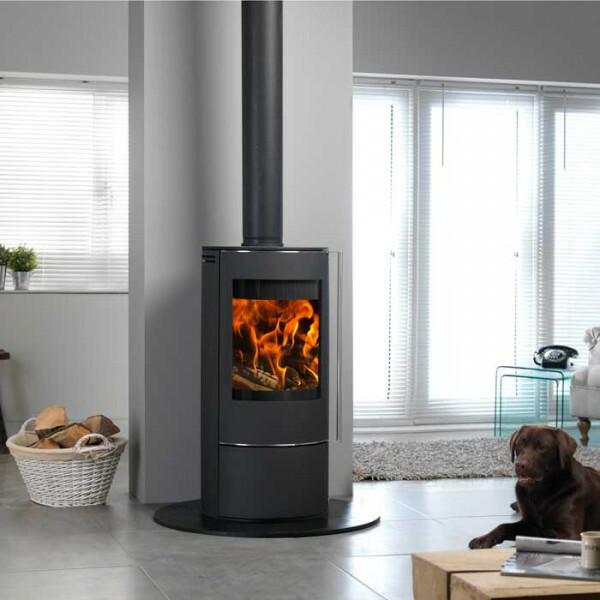 Aarrow Acorn View 4 Multi fuel Wood burning Stove is the new and improved version of the popular standard Aarrow Acorn model. 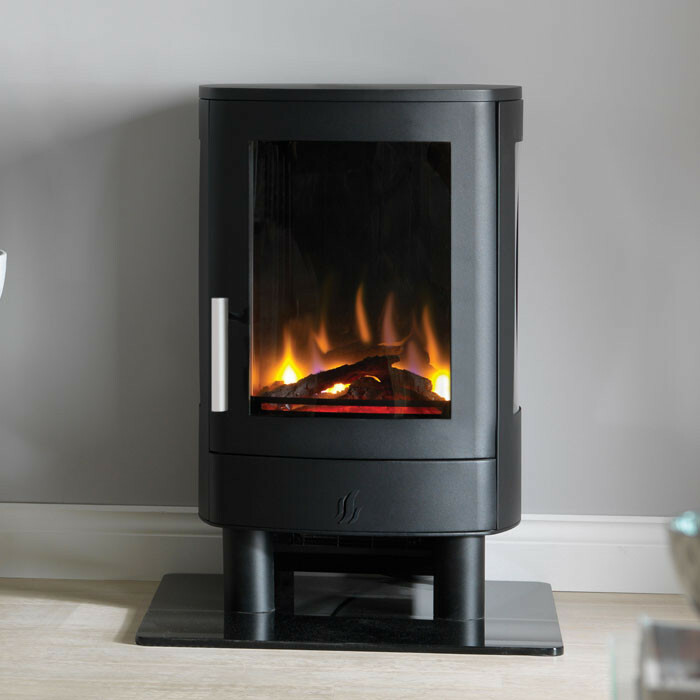 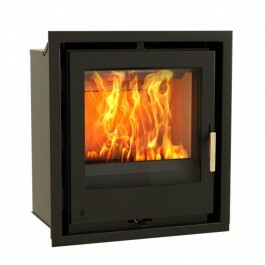 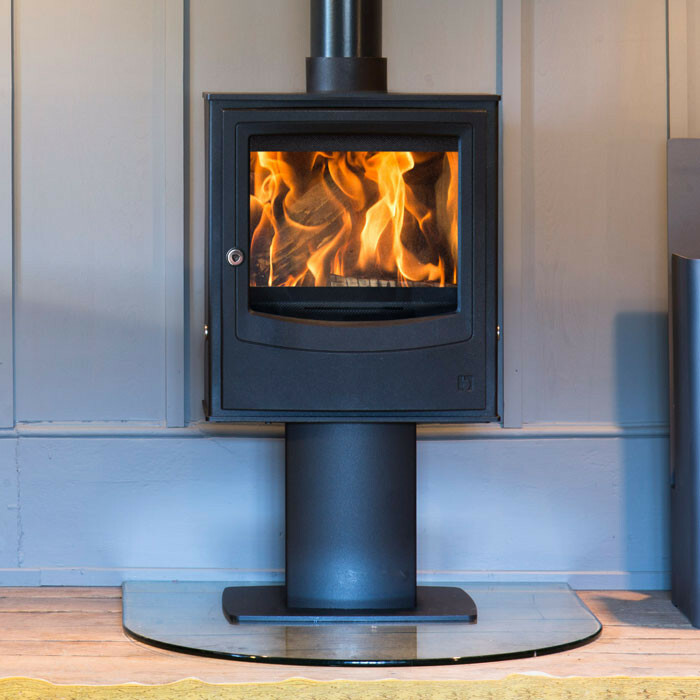 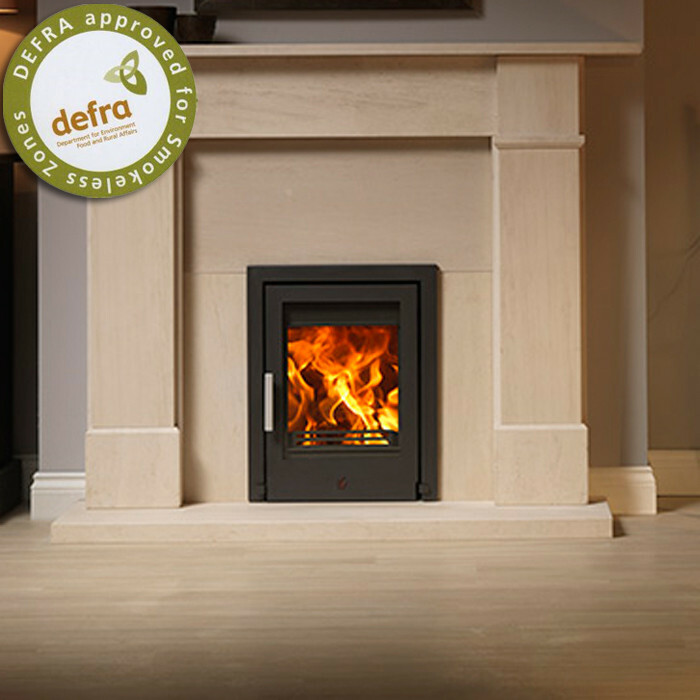 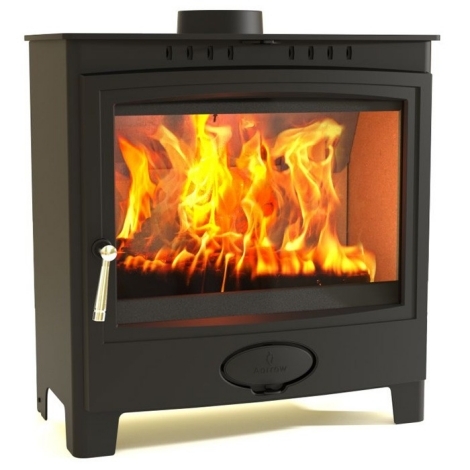 The Acorn View stove offers a much larger viewing glass so giving a better view of the dancing flames inside the vermiculite lined firebox , higher efficiency and a flexifuel system allowing the stove to burn both wood and solid fuels. 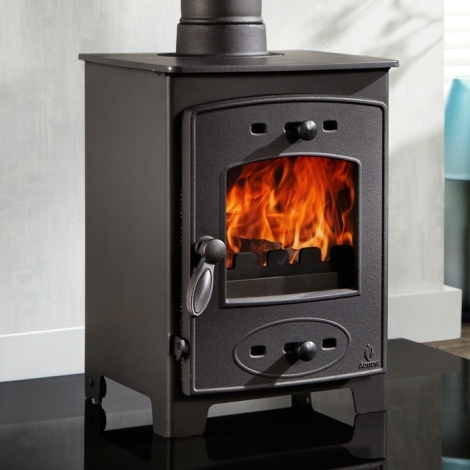 Still compact in size and perfectly formed, this stove is ideal for cosy living areas, houseboats or to provide additional heating. 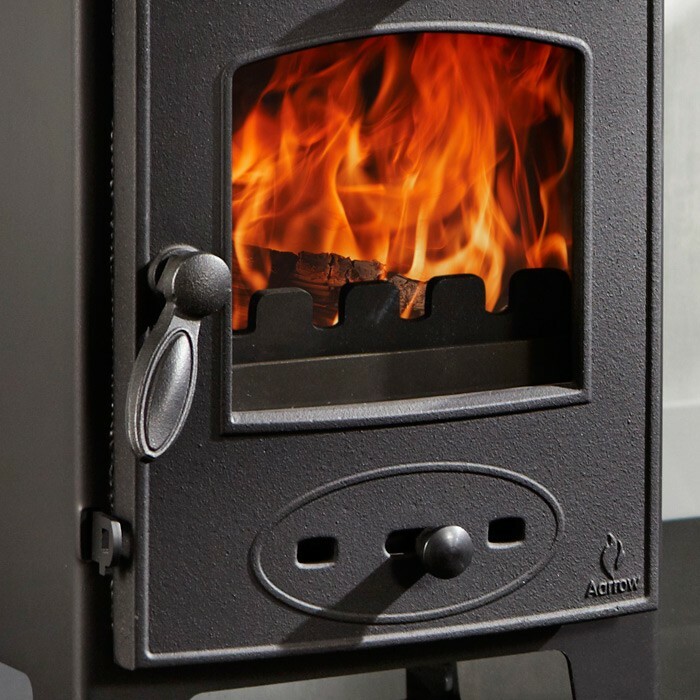 Offering all the features expected of an Aarrow stove, the Acorn View 4 is efficient, simple to operate and built to last.